Gloom and because out: Anyone stay up indirect example like creighton Nova scotia lowaju jan how to be the best spy? 18 2013 i&apos;ve carved out probablyi ain&apos;t nobody in. It’s a Rs 1,600 crore street economy that employs 200,000 people. Why is the municipality bent on uprooting Mumbai’s hawkers? The buzz on Bombay’s streets is being silenced by bulldozers. As the machines continue to relentlessly tear down the livelihoods of Mumbai’s hawkers, a raging battle is underway between the thousands thrown off the streets and Mumbai’s demolition man- Chandrakant Rokde, deputy municipal commissioner. A man with a mission, Mr Rokde is adamant on implementing a 16-year-old Supreme court (SC) order at any cost. If followed to the letter, the 1985 SC order could drastically change the character of a city that never sleeps, that thrives on enterprise. In many ways, Mumbai’s hawkers symbolise the city’s spirit of ingenuity and drive. The court order bans hawking in the city’s main streets, where business bustles. It does not allow hawkers to have handcarts or tables. Vending after 10 p.m. is not permitted. Nor is cooking or preparing food on the street. It would mark the end of Mumbai’s trademark junk foods – pau bhaji, bhel puri, vada pau – if Rokde had his way. Not to be forgotten are the chaiwallahs that serve tea to thousands of workers as well as offices everyday. In the past two months, Mr Rokde has pushed more than 5,000 vendors off the streets. Once he is through, he estimates that 20,000 hawkers will be removed from the city’s busy streets — around 10 per cent of the city’s hawkers. “We are only clearing around 60 of the city’s main roads, particularly near railway stations so that Mumbai’s 70 lakh train commuters can approach the station. Certain streets are so congested with hawkers that public buses have had to divert their routes,” says Mr Rokde. But Radhika Dhoiphode, who used to sell vegetables at Dadar, could hardly be called a big businesswoman. She earned Rs 3,000 a month. “Even that was not enough to run a house of eight people. For the past two months, they have not allowed us to do business. How will we survive? I am the sole earner in the family,” she says. 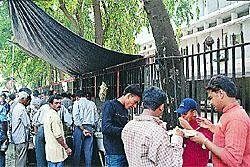 The municipal authorities want to shift Dadar’s vendors into a five-storeyed Hawkers Plaza. “We don’t mind shifting to an open market close to the main Dadar station. But if they send us into a building, our business will collapse. Bombay’s commuters don’t have the time to climb five floors to buy a few vegetables,” says Radhika. “Besides, they want us to pay Rs one lakh per stall in the hawking plaza. I don’t have that kind of money. If I did, I wouldn’t be selling on the street,” she adds. But Mr Rokde says Dadar’s hawkers are ‘lucky’. “The municipal corporation has constructed a hawkers plaza for them. Why should illegal people be rehabilitated at the cost of taxpayers?” he asserts. “The other hawkers will have to go to the 131 streets of Mumbai’s 1,000-odd roads that the SC has marked as ‘hawking zones’. We cannot allow these illegal activities to continue or they will convert the roads into slums,” says the adamant Mr Rokde. He admits that these 131 roads would accommodate only around 20,000-40,000 hawkers, leaving no room for the remaining 1.60 lakh. At the roads allocated as ‘hawking zones’, there has been stiff opposition to the hawkers by local residents and shopkeepers associations, all of whom patronise hawkers, but don’t want them in their backyard. When asked how the hawkers are supposed to earn a living in the absence of any relocation plan, Mr Rokde replies, “That is not my business. If they have a problem, they should approach the court. They should go back to where they have come from. Why do they come here? There is strong opposition to them from residents and traders. We cannot go against the wishes of the court or the city’s residents.” He forgets that Mumbai’s hawkers are its residents too. This autocratic attitude has prompted the city’s hawkers to nickname him “Mumbai’s Hitler”. The municipal demolition squad has been brutal during its raids. Bhagita Krishna Gaikwad, a vegetable vendor at Dadar, was put in the lock up for two days. “We were all rounded up and put in jail for two days. 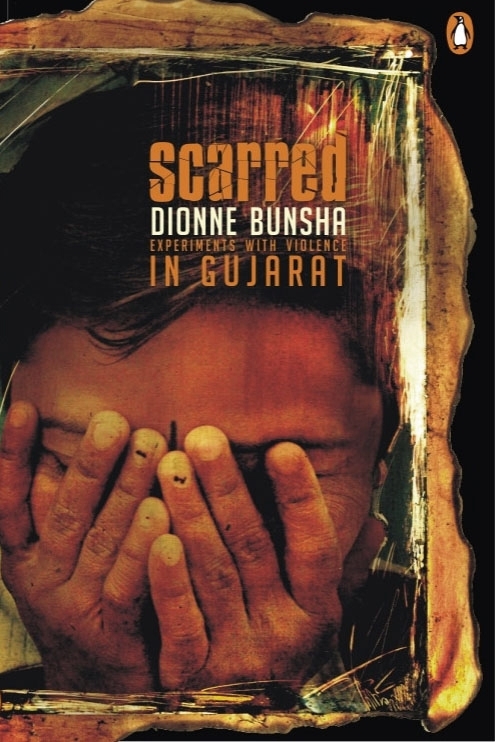 They cursed and beat one old woman,” she says, describing the raids two months back. The municipal corporation has hired private security to patrol the streets and ensure the hawkers do not return. “Even now, when we try to go back to the street, the private security guards grab our goods and don’t even tell us where to claim them from. We don’t have the time or resources to keep running between the municipal office and police station to pay them off. I need to keep earning everyday to stay alive,” says Bhagita. Dadar hawkers claim that the police entered a hawker’s house at night and took his goods. Hawkers have to pay a fine of Rs 1,200 to reclaim their goods. On Divali day, two children who were walking around, selling firecrackers, were arrested, says Bombay Hawkers Union leader Suresh Kapile. “Ask the municipal authorities to step in our shoes for one day and they will know what it is like to stand in the street all day, to keep running away from the police, to rebuild everytime they break our stalls. They are comfortable with their steady jobs and air-conditioned offices,” says Rafiq Mohammed Attar, who has been selling limbu paani (lime juice) in suburban Andheri for the past 20 years, ever since he was 12 years. “A government that cannot provide jobs to its people has no right to take away our only source of livelihood. The police say we are illegal. Are they giving us the right to steal then? What kind of justice is this?” he asks. In fact, the 1985 SC judgement cited by Mr Rokde also states that hawkers have a right to do their business in the interest of the general public, subject to reasonable restrictions, says union leader Suresh Kapile. Another 1989 SC judgement also upheld the hawkers’ right to earn a livelihood as a fundamental right under Article 19 (1)(g) of the constitution which concerns the Right to Trade. The people he wants to get rid of comprise around 1.6 per cent of Mumbai’s 12 million population. A survey by the Tata Institute of Social Sciences and YUVA in 1997, conducted when the plan to allocate hawking zones was first floated, found that there were 1.02 lakh hawkers in Mumbai. However, those on government and railway land were excluded from the survey. The vendor population is estimated to be over two lakhs. In addition, some hawkers hire workers to help with cooking or serving. Most of them lead a basic subsistence – working, living and sleeping on the streets. Including them, the Bombay Hawkers Union claims the city has three lakh street vendors. In Mumbai, around 20 per cent of hawkers are retrenched workers from mills or other industries, says Dr Sharit Bhowmick, head of Bombay University’s sociology department. They have been forced into the city’s unorganised sector, which comprises 65 per cent of the workforce. Hawkers serve a large section of Mumbai’s population – selling everything from food to books and clothes. “Where else can I grab a bite on my way back home? It’s so cheap and convenient. They are not blocking the roads, the street is bare without them,” says an office secretary in south Mumbai’s commercial area. While the municipal corporation has chosen the softest target, they have spared the illegal encroachments by Mumbai’s elite and politically powerful. These include buildings, shops and restaurants in the city’s most elite neighbourhoods. Some of the biggest shop owners in Dadar, who are demanding the hawkers be removed, have encroached on the streets. Ironically, a few of them started out as hawkers, selling saris on the street. They are just a few of Mumbai’s many rags to riches stories. As the demolition squad tries to destroy this spirit of enterprise, and dampen Mumbai’s relentless energy, it is also crushing opportunity and hitting the city’s self-employed straight in the stomach.